Your hand lettering is so professional! I love the blending of your colors. Looks so good it could be a print. 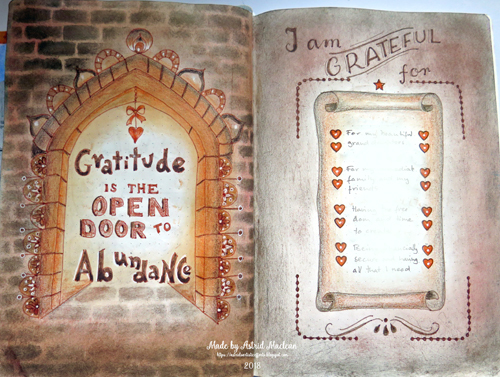 Beautiful journal pages. 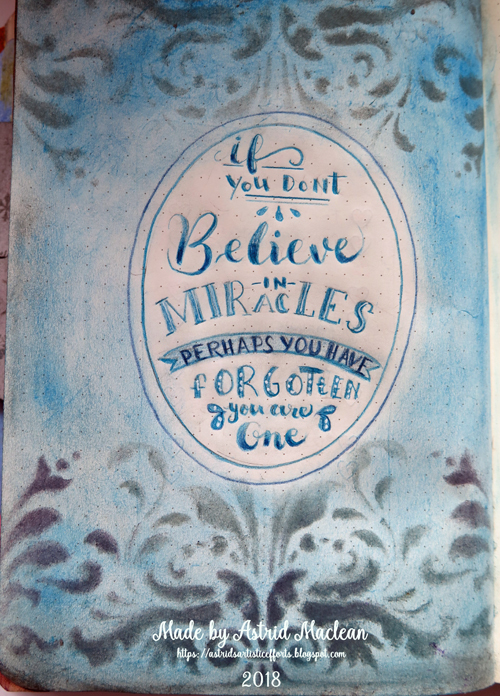 You have worked your magic again Astrid and created beautiful pages. I don't really get on with gelatos, maybe it is the way that I have worked with them, so I opt for soluble wax pastels as they do the just the job for me. I may have to dig my gelatos out again and give them another go. Thank you for sharing.. Your lettering and the compposition of each single spread is terrific!A fab idea for the gelatos - have to remember this. 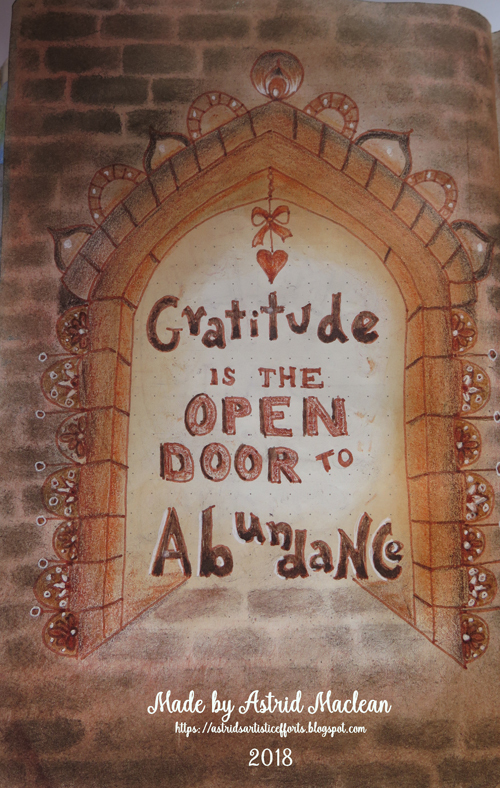 You are such an inspiration - I am looking forward to seeing many more of those fantastic spreads! Have fun! Great lettering, your pages look fantastic and you have me wondering where I last saw my gelatos. 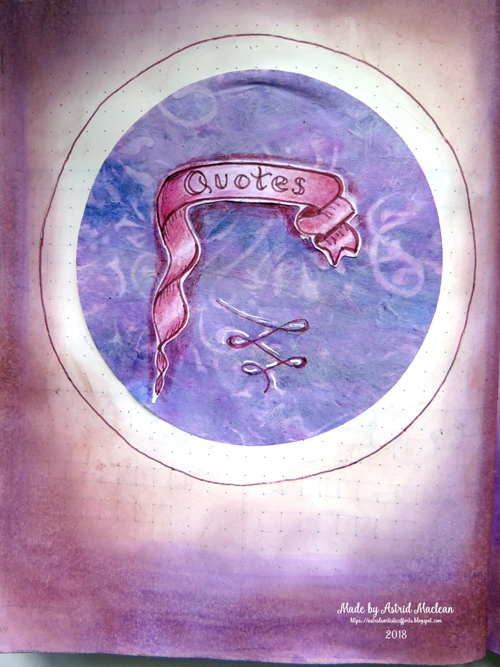 Its a good idea to have a quote book. Busy crafting today and enjoying it !!!!! 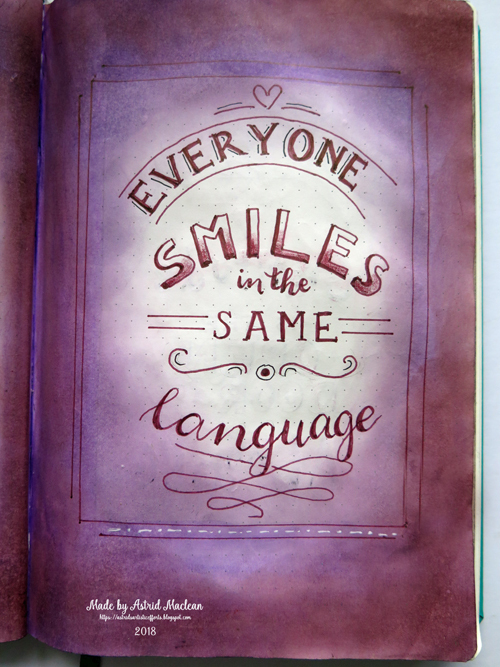 Such very beautiful, pages, both love the colors you used, and the wonderful lettering . 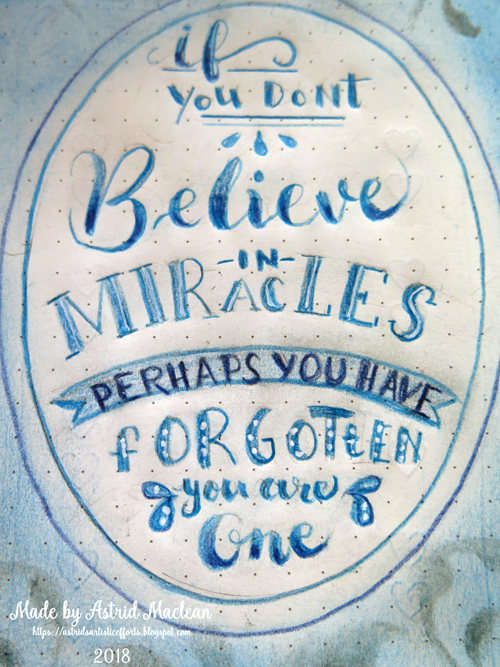 Your own quote is really , so very lovely and so true, yes every human is a miracle- a fantastic thought to write down in your gorgeous bullet journal, dear Astrid. Wonderful journal pages, Astrid! Your artwork is amazing. Thank you for your kind comment on my blog. You asked where we get Stamperia papers in the USA. I have purchased mine from three places: Archana Joshi (you can contact her on her Facebook page or her store Crafty City http://www.craftycity.com/); The Rubber Buggy http://www.therubberbuggy.com/ and also Vintage in KC on Facebook. I hope this helps. 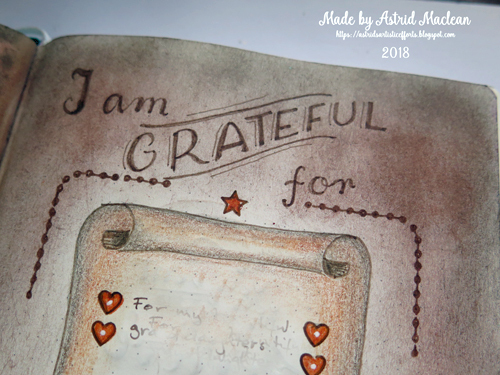 What a fabulous journal Astrid!! I adore the cover as that purple is my fav!! Gorgeous! 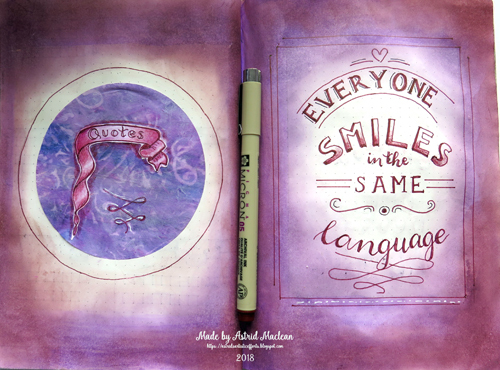 And your pages of quotes in your cool lettering- what a super idea- This is really awesome! I love the quotes you have chosen, what a great way to begin 2018! Ooh, yes - especially the brown page appeals to me. You really have found a glowing way with the gelatos... glad to hear I'm not the only one who'd need to dig to find them! I think John Clinton (above me) is spam, no?! !